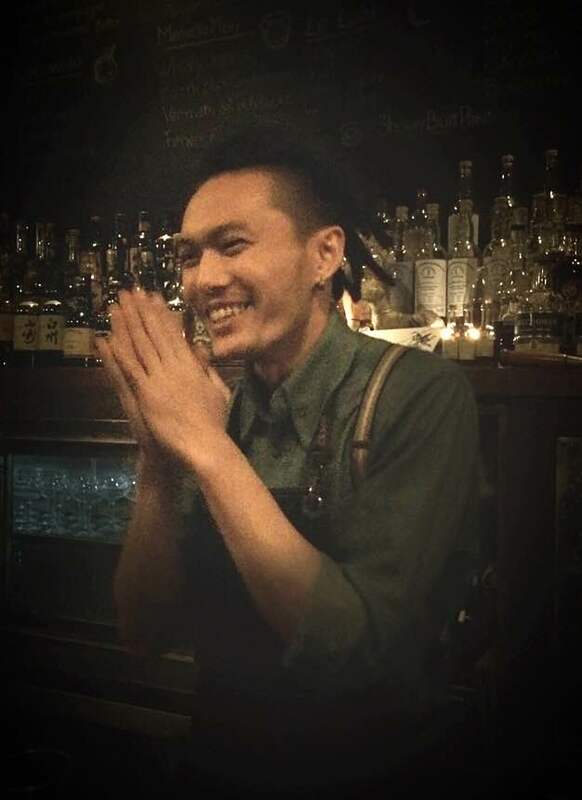 I’m Gn Chan bartender at Angel’s Share, New York City. I am from Taiwan originally and I moved to new york 5 years ago. All my family is alcool free, so nothing prepared me to become a bartender. I studied industrial design and launched my own company, but I’ve been scammed and lost everything. Then I went to ask for a job in a bar and a place to stay. I lived there during 7 month. Spending so much time there helped me to perform quickly, so I started to bartend and discovered that I liked that. After few months, I wanted to challenge myself and moved to NYC, one of the most challenging city for bartending and started over again. I began in a cocktail american lounge till its closing, then I worked in a french restaurant and an Indian food restaurant with an interesting cocktails list, and an Italian restaurant. At this time I had three jobs at the same time, but that’s how you survive in NYC. Angel’s Share is one of the oldest speakeasy in NCY, 23 years old this year, and a pure japanese bar where normally only japanese work there. But one day, the owner proposed me to work as a host. So I’ve been a host, then a waiter, then a barback to finish at the end bartender, after one year. I became the first non japanese bartender in 20 years. I already know the name, it will be Double chicken please. When I was a student, me and my best friend were nicknamed chicken, so we think that we could open a design studio name Double chicken please, but it will be a bar now. I am going to ask him to design everything for me, then it will be our place. A bar for 40-50 persons, sitting only, opens to everyone, even if it will be a little low key, but a place to chill and where you can have food too. The idea is when people order, bartender and chef has to do the preparation at the same time, side by side to create the right pairing. The ambiance will be funky, with head of a deer with ballon or flowers on the wall, in the middle of the bar chairs, a weird one, like it’s coming from Disneyland. Music to relax but up beat. When I finished my work, I go home. But when I go out I tend to visit friends, like Maison Premiere, Attaboys or Mace. Recently I really like to use scotch whisky, to work on savory drinks with seaweed for instance. So more smokey like Yoichi, but now japanese whiskies are too pricy to use in cocktails (even if you still have for an average price the Hibiki harmony or Nikka coffee grain), or pity like Islay whisky to match with salty or umami flavour with mushrooms. For me the definition of a good cocktail is about experience, when you discover something new, a flavour, the way it’s made, served, something that inspire you. It’s a full journey even if you don’t like the taste, the experience make you like the cocktail in a way. I like to work with something unique, from Taiwan, it’s plum powder. It’s dehydrated plum with herbs and spices mixed together. In Taiwan people often use it for food, because it’s sweet and salty, for instance on pineapple, mango or different kind of fresh fruits. Go to Taipei to meet a guy called Kai, he is one of the bartender I respect the most, he used to work at Alchemy and he will open his own bar in May. This interview has been made at Sherrybutt in Paris, thanks guys.